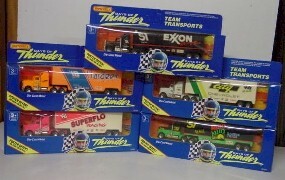 ..1990 Days of Thunder 1/87th Hauler "Set of Five"
1990 Days of Thunder 1/87th Hauler "Set of Five"
Out of Stock! One Set In Stock! From the Movie "Days of Thunder"